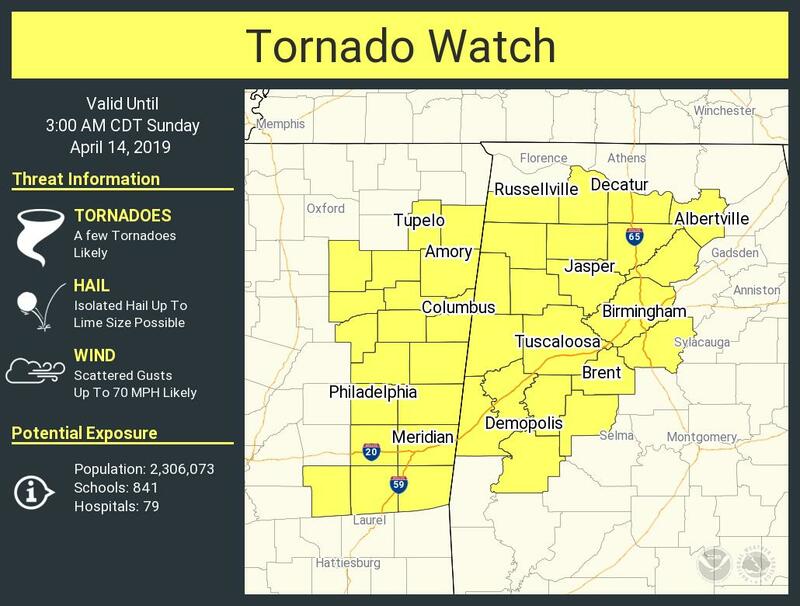 BIRMINGHAM — The National Weather Service in Birmingham has issued a tornado watch for Jefferson and Blount counties until 3 a.m. on Sunday as threatening weather approaches. 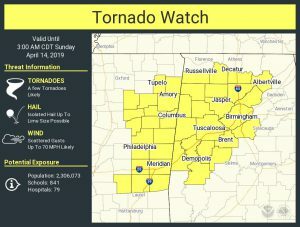 The watch area includes counties to the west of Jefferson back to the Mississippi line. As storms move across the state from west to east, conditions will be favorable for tornadoes, high winds and hail. It is important to have a severe weather warning system in place as the local area will likely experience storms overnight Saturday into Sunday morning.